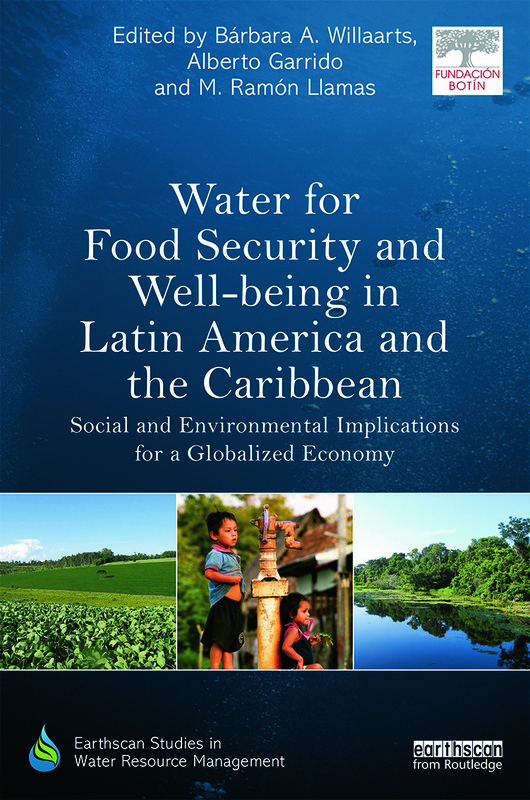 This volume provides an analytical and facts-based overview on the progress achieved in water security in Latin America and the Caribbean (LAC) region over during the last decade, and its links to regional development, food security and human well-being. Although the book takes a regional approach, covering a vast of data pertaining to most of the LAC region, some chapters focus on seven countries (Argentina, Brazil, Chile, Colombia, Costa Rica, Mexico and Peru). A full understanding of LAC’s trends progress requires framing this region in the global context: an ever more globalized world where LAC has an increasing geopolitical power and a growing presence in international food markets. The book’s specific objectives are: (1) exploring the improvements and links between water and food security in LAC countries; (2) assessing the role of the socio-economic ‘megatrends’ in LAC, identifying feedback processes between the region’s observed pattern of changes regarding key biophysical, economic and social variables linked to water and food security; and (3) reviewing the critical changes that are taking place in the institutional and governance water spheres, including the role of civil society, which may represent a promising means to advancing towards the goal of improving water security in LAC. Bárbara A. Willaarts is a Researcher at the Water Observatory – Botín Foundation and a Postdoctoral Researcher at the Research Centre for the Management of Agricultural and Environmental Risks (CEIGRAM), Technical University of Madrid, Spain. Alberto Garrido is a Professor in Agricultural Economics, Technical University of Madrid, Director of the Research Centre for the Management of Agricultural and Environmental Risks (CEIGRAM) and Deputy Director of the Water Observatory – Botín Foundation, Madrid, Spain. M. Ramón Llamas is the Director of the Water Observatory – Botín Foundation and Emeritus Professor at Complutense University, Madrid, Spain. This series includes a wide range of inter-disciplinary approaches to water resource management, integrating perspectives from both social and natural sciences. It includes research monographs and titles aimed at professionals, NGOs and policy-makers. Authors or editors of potential new titles should contact Hannah Ferguson, Editor (Hannah.Ferguson@tandf.co.uk).